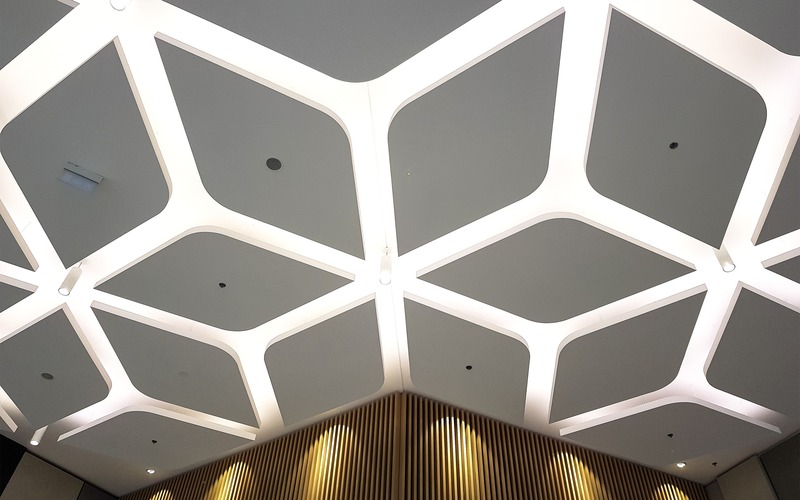 Pre-fabricated plasterboard provides a broad range of options for incorporation into stylish and original ceilings. This provides the opportunity to create a unique space that is completely different from anything else and helps to give the hotel a characteristic flair. It is this uniqueness that ensures the hotel will be unforgettable to guests.